Auction 946 Lots Posted. Browse and Bid Now! 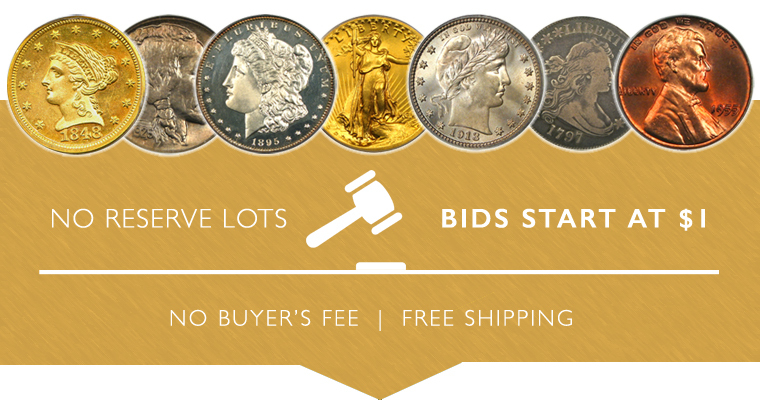 Our Sunday Internet Auction #946 is now live with a great selection of over 250 fresh, new coins, 20 Vault Value Items, and 85 items with No Reserve. All lots will begin closing at 8pm EST on Sunday, February 5th. This week we have over 100 fresh NGC world gold coins from over 15 different nations! Don’t miss out on adding some of these attractive and affordable pieces to your collection. Click here to view all of these intriguing selections! This week's first highlight coin is an 1889-CC $1 PCGS MS62. The 1889 Carson City Morgan is one of the most highly sought key dates in the Morgan dollar series. Beautiful frosty surfaces with a super-clean cheek. Our lovely specimen looks like a MS63. Our second highlight coin is a 1921-D 50c PCGS/CAC MS65. A beautifully lustrous early Walker with beautiful golden fields. The lowest mintage issue in the Walker set with only 208,000 coins struck. Our highlight coin is CAC approved for quality. Of course there are many other highlights, so be sure to browse all lots in this exciting new sale before it closes on Sunday, February 5th.